Oregon transportation officials are urged to impose tolls on other highways besides I-5, I-205. Oregon transportation officials are under increasing pressure to impose tolls on all freeways in the Portland area — not just Interstates 5 and 205 as they have been discussing. "We are really early in the process, but we are being challenged to go much further and faster than we have been considering," says Travis Brouwer, assistant director of the Oregon Department of Transportation (ODOT). At the direction of the Oregon Legislature, the Oregon Transportation Commission has been studying whether to impose tolls on some or all of I-5 and I-205 in Portland. But, as the commission nears its December deadline to submit a request to the Federal Highway Administration, the public, elected officials and stakeholders are urging it to recommend tolling Highway 26, Highway 217 and I-84, too, Brouwer says. Much of the pressure is coming from a 25-member advisory committee appointed to assist with the Portland Metropolitan Area Value Pricing Feasibility Study commissioned by ODOT. According to Brouwer, most of the committee members favor tolling all the freeways. "The majority of the committee is pushing us hard," he says. Brouwer made the comments Monday at a tolling summit hosted by the International Bridge, Tunnel and Turnpike Association. The association represents toll-facility owners and operators and the businesses that support them around the world. The Summit on Finance & Policy: Trust & Accountability brought together over 200 tolling transportation and business leaders at the downtown Nines Hotel on July 23 and 24. Summit topics ranged from the fundamentals of charging for roadway use to the public perspective of tolls and the authority of states to enact them. Brouwer made his comments as a participant on a panel titled "Tolling Interstate Highways." The Oregon Transportation Commission has the authority to study parts or all of Highway 217, Highway 26 and I-84 for tolling. But they were not included in the feasibility study, and so they likely will not be specifically included in the request submitted in December. But requests could be made to phase them in later, says ODOT spokesman Don Hamilton. 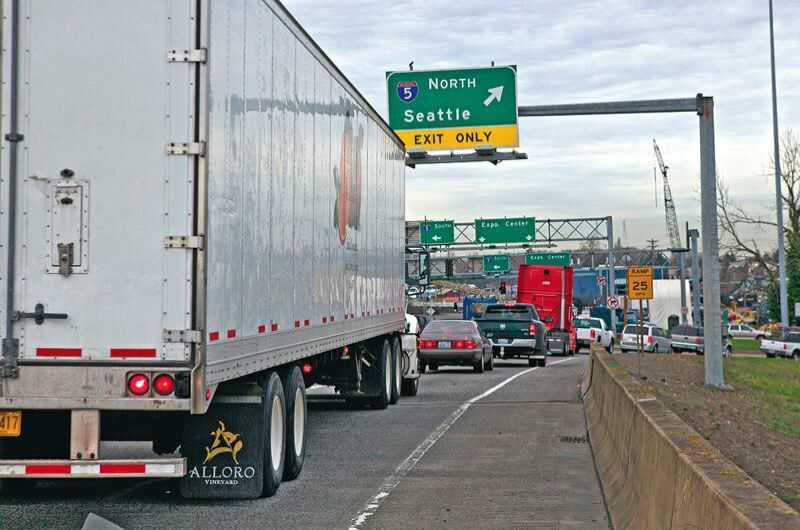 Although tolls are controversial in the Portland area and Southwest Washington, the international association's Executive Director and CEO Pat Jones says they are commonplace in much of the world. In fact, Jones says Portland is the largest metropolitan area in the country with no tolled roads. "Tolling is proven to help manage congestion and generate revenue for maintenance and construction projects. Opposition disappears when people see the benefits," says Jones, whose association was founded in 1932 and has members in 26 countries on six continents. According to the association, 35 states and territories throughout the United States currently collect tolls on roads, bridges and tunnels. Forty-seven facilities in 11 states operate managed lanes to reduce congestion and manage traffic on some of the country's most heavily traveled roadways. Toll stops are largely a thing of the past. Instead, tolls are automatically billed to vehicle owners with transponders that can be as small as decals. License plates on vehicles without transponders can also be read for billing purposes. The 2017 Oregon Legislature decided that Portland-area congestion is a statewide problem. It concluded that tolls can reduce congestion, especially if they are higher during peak travel times, a concept known as Congestion Pricing or Value Pricing. The Legislature also presumed that tolls can generate enough revenue to fund bottleneck-relief projects in the area, such as rebuilding the I-5/I-84 interchanges in the Rose Quarter and adding third lanes in both directions of the Abernethy Bridge on I-205 near Oregon City. The transportation funding package approved by the 2017 Legislature directed the commission to study tolling some or all of I-5 and I-205 in the Portland area, and to submit a request to the Federal Highway Administration by December of this year. If the federal government approves the request, the Legislature directed the commission to implement it, regardless of what the public thinks. According to Brouwer, the commission is also studying how to mitigate potential unwanted consequences of such tolling, such as traffic diverting off area freeways and onto neighborhood streets, and the disproportionate impact on lower-income drivers. Although exact tolls have not yet been suggested, Brouwer suggested they will be reduced for lower-income drivers. To read a previous Portland Tribune story on the issue, go to tinyurl.com/y75cc2gt.